We are happy to share with you the 10th edition of “Struggles and Victories: Waste Pickers on the Frontline”. The purpose of this global newsletter is to share updates from waste pickers’ groups around the world. We hope to increase and facilitate communication across borders and to provide a platform for solidarity between organizations. We rely on the updates that you send us to info @ globalrec.org. Please add us to your email lists if you would like to have your updates included in the newsletter and on the website. The Uruguayans are fighting to stop waste incineration plans in their country and the Brazilian Movement stepped up to show its solidarity with this struggle. Read about waste pickers’ participation in the International Labor Conference, with delegates from Colombia, Argentina and India. Also, find out about how waste pickers were integrated in some of the World Cup games and events across several states in Brazil. 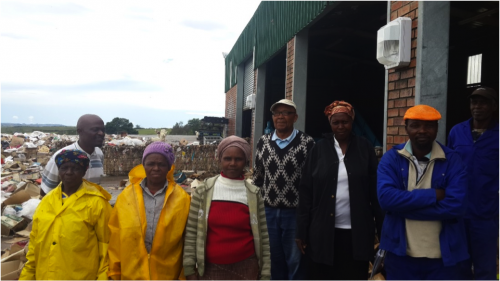 There are several updates from the South African Waste Pickers Association, with a press release about four pilot projects, about registering to become tire collectors as the recycling market expands, and a demand for the completion of a recycling project. Waste pickers in Asunción, Paraguay, need support after heavy flooding damaged their workplace and destroyed their recyclables and their homes. 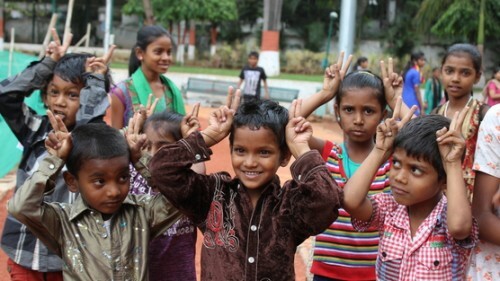 Also, sign and help get the word out about a petition in Pune, India, that is pushing for welfare benefits for waste pickers which will go towards their children’s education. Sajag/Kachra Kamgar Union (KKU) has conducted a very successful campaign for enrollment of rag-pickers to the electoral rolls of Delhi and also facilitated their applications for ration-cards under recently passed Food Security Act. It was a month-long intensive campaign which ran from June 12th to July 11th. In this campaign, we covered thirty rag-picker clusters which fall under ten Assembly Constituencies of three districts of Delhi. We also covered ten Circles of Food and Supplies Department of Delhi. We facilitated food security for 1,000 families and enrolled 2500 rag-pickers to the electoral rolls of Delhi. 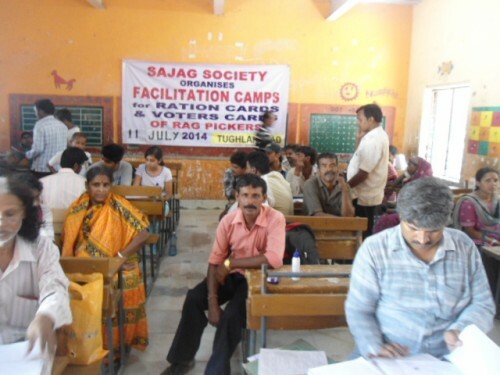 For this, we held camps in government schools located nearby rag-picker clusters. In these camps, National Campaign for People’s Right to Information (NCPRI), and Mazdoor Kisan Shakti Sangathan (MKSS) interns and other volunteers helped a lot. They filled out forms for the voter card and the application for ration-cards. The Right to Food Campaign was also instrumental in facilitating meetings with the Food Commissioner of Delhi. In this campaign, on an average three to four representatives of Election Commission of Delhi were always present at our camps…These documents are essential for mobilising political support for the marginalized communities such as the waste-pickers and especially in the case of Delhi where most of the rag-pickers are actually migrants from different states, their concerns and voices were never heard by the policy-makers of Delhi. We hope that issuance of these documents will provide some semblance of dignity and identity to the rag-pickers and will help in mobilising political support for them. Read the complete post. “Don’t Waste People captures the voices of a few of the hundreds of thousands of people who work as waste pickers in Delhi, India, sorting through trash from roadsides, municipal bins and landfills and selling the reusable material to make a living. These voices have long been silenced and still often go unheard, but we have the power to change that simply by listening.” Watch the complete documentary. Pune, Oxford of the East, through its municipal leaders, resolved in 2007-2008 that meritorious (or “high performing”) children at the X and XII examinations would be rewarded from the municipal budget. The two rewards offer a sum of Rs 15000 and 25000 respectively, for students securing over 80% in class X and XII. Last year alone, the PMC spent Rs.15.3 crores on scholarships to meritorious students. The same municipality that spent Rs.59.6 crores over the past 7 years on these 2 schemes, has no money for welfare benefits towards waste pickers and their children’s education. The PMC, as per a formal MOU, owes each SWaCH waste collector Rs.3500 in welfare benefits that it did not provide for the period 2008-2013. A recently tabled, comprehensive welfare proposal amounting to around 2.5 crores per year, has not been cleared as the administration is uncertain it can cope with the financial implications. Many children who receive the above scholarship amount come from privileged families that can afford good, formal education as well as tuition classes and support systems. Most children of waste pickers are first generation learners, who would perhaps drop out of school, if their core educational costs were not covered. If you see the injustice in this, please sign the following petition urging the PMC to 1. revoke the existing schemes offering cash rewards to meritorious students from privileged classes, and change the eligibility criteria to benefit marginalized children and 2. pay the welfare benefits due towards education of waste-pickers’ children for the period 2008-2013, and to pass a comprehensive welfare benefit scheme for them for the future. Read and sign the complete petition. On April 25th, 2014, there was a massive fire in Masoodpur in Vasant Kunj, New Delhi, a community in which many waste pickers and recyclers live. 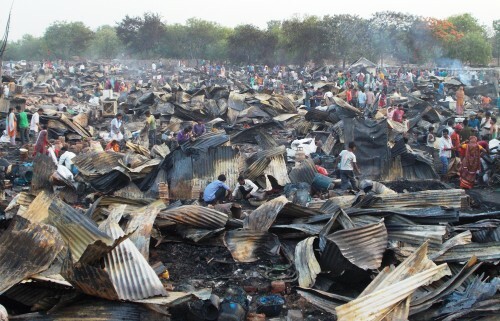 Approximately 1,000 huts (Jhuggi) were razed to the ground. The waste recyclers lost everything except the clothes they were wearing. Fortunately there were no casualties and only a few minor injuries. Members from different areas contributed to the cause with food, clothes, blankets and shelter. Shashi Pandit of AIKMM, said that many individuals have contributed and the community has also seen government support in the form of medicine, food, cooking supplies, and money. You can contact AIKMM at 09968413109 or email info-india@aikmm.org. Chintan, an environmental research and action group, in partnership with the Indian Railways celebrated Earth Day on April 22nd at the New Delhi Railway Station. The celebration included two themes. First, visitors on platforms were requested to take a pledge to use the bins and stop littering the platform and tracks. Waste pickers from Safai Sena and Chintan team members answered their questions about waste and recycling. School children interviewed railway officials and quizzed them about cleanliness of the train platforms. Over the last 5 years Chintan has been working in partnership with the Indian Railways to keep the railway stations clean. Chintan collects waste from all the trains as they arrive on the platform, provides liners for bins on platforms and collects the waste. The waste is taken to a Material Recovery Facility where it is segregated by category. The segregated waste is taken to a bigger facility outside the stations; from there it is further segregated by a team and from there, for recycling. Chintan has trained over 700 waste pickers in the last 5 years to collect, segregate and recycle the waste. Each month over 20 tons of waste is collected from across the four stations by nearly 100 waste pickers. Chintan has provided waste pickers with uniforms and I-Cards and created green jobs for them. The waste pickers work seven days a week to make sure the trains are clean and the bins are not over flowing. Read the complete press release. Millions of people worldwide make a living collecting, sorting, recycling, and selling materials that someone else has thrown away. Vital actors in the informal economy, waste pickers provide widespread benefits to their communities, their municipalities and the environment. For the past 22 years, the waste pickers of Colombia have been fighting for recognition of their work. “There are no borders for those who fight,” is the slogan that symbolizes the struggle of the more than 15 million waste pickers, who are facing global threats – against their lives, organization and towards the environment. Watch the video. 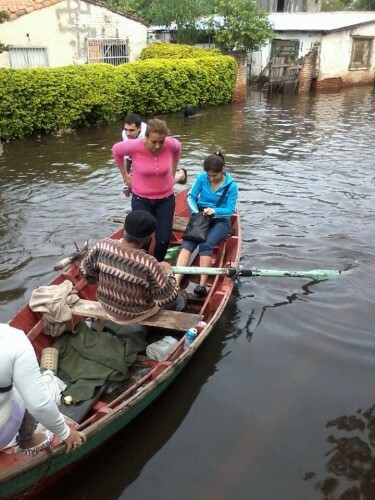 In the month of June, many residents of the Bañado Tacumbú neighborhood of Asunción, Paraguay, had to evacuate their homes because of flooding. The flood has affected about 5,000 families, 80 percent of which are waste picker families, according to Pedro Ramon Caballero Quintana, a waste picker leader in Asunción. They have lost almost all of their recyclable materials as well as their possessions in their homes. Quintana has documented the impact of the flood with facebook posts and has asked for support. He gave an update at the end of June, saying that the rains have continued after the flooding, and many waste pickers are not able to work. If you would like to support the waste pickers of the Bañado Tacumbú neighborhood, contact “Pedro Ramon Caballero Quintana” on Facebook. 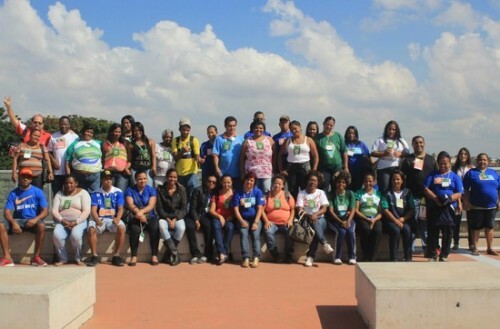 The Movement of Brazilian Waste Pickers (MNCR) saw the positive results of its efforts to integrate waste pickers across the country in recycling services during the World Cup. Close to 840 waste pickers organized in cooperatives and networks were part of the recycling effort across 12 World Cup stadiums, as well as at official World Cup events. This participation is the fruit of a partnership between MNCR, Coca Cola and FIFA, which contracted networks of cooperatives in the Cup’s host cities, and paid the waste pickers for the service, as well as for training and uniforms. Payment for their work at major events is not new, with events like the Confederation Cup, in which waste pickers contracted in Rio de Janeiro gained recognition performing a successful recycling service. 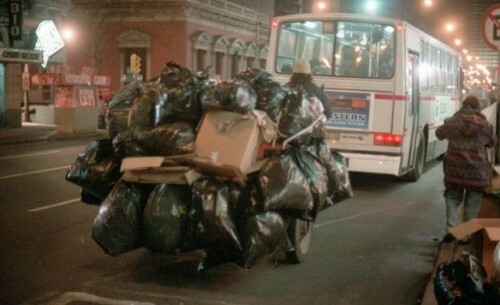 During the World Cup, each waste picker received 80 Reais, or 40 USD per day, and compensation for transport and meals. In the São Paulo games, 70 waste pickers worked in the stadiums, and 30 worked in the separation of recyclables in the Cata Sampa Network’s sorting warehouse. Despite the huge victory of participating in an event of such magnitude, there are also many waste pickers that were left out. In Sao Paulo, there are 20,000 waste pickers that work independently, outside of cooperatives or networks. “We face the challenge of organizing the waste pickers – the more organized we are, the stronger we become, especially in demanding our rights. We want to be recognized across the globe for our work,” he said. Read the complete article. 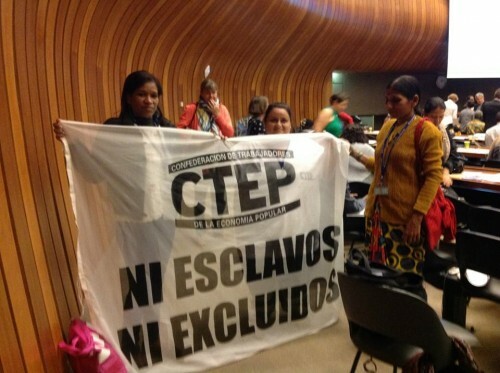 Paola Caviedes, a waste picker with the Movement of Excluded Workers of Argentina (MTE) and affiliated with the Confederation of Workers of the Popular Economy (CTEP), traveled from Villa Fiorito all the way to Geneva to speak on behalf of the workers of the popular economy and advocate for the right to unionization. Waste pickers, street vendors, domestic workers, farmers, construction workers and others often don’t have rights or representation. “The popular worker creates his or her own work in order to survive…We are not small independent business owners. We are workers and we have rights. The owners and governments try to avoid responsibility by placing us in the category of ‘self-employed’ workers,” said Paola after landing in Buenos Aires. One of major points discussed during the debates was what governments call “occupation” of public space and that the majority of popular workers do their work in public spaces. 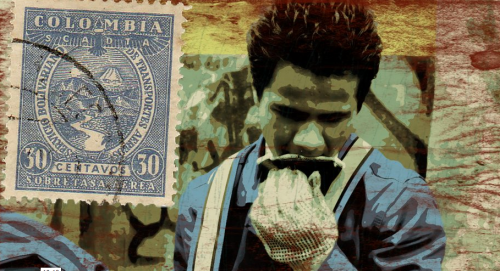 “In our case – the cartoneros, or waste pickers – we’ve worked in the streets for many years. Before, they wanted to remove us from the streets, but for ten years, we’ve been receiving the recognition of of the Buenos Aires government and slowly we’ve gotten increasing recognition. Today, we are the waste picker cooperatives that provide a public service by recycling. If they take the streets away from us, they take away everything,” said Paola. Read the complete press release (in Spanish). We waste pickers, organized nationally as part of the National Movement of Brazilian Waste Pickers (MNCR), and continentally, as part of the Latin American and Caribbean Network of Waste Pickers/Recyclers (Red Lacre), pronounce ourselves vehemently against waste incineration as a way to treat solid waste. We are fighting so that in Brazil and throughout the Latin American continent, systems will be created that prioritize and make possible recycling and composting of solid waste, that generate jobs and income (with social inclusion), and that defend our environment and our resources. No matter the waste-to-energy technology — whether it’s through thermoelectric, Pyrolysis or Plasma technologies — it is contrary and directly competes with recycling, which comprises more than 90 percent of urban solid waste. Huge investments are needed to treat the particulate matter in the highly toxic waste from incinerators. Besides huge investments to treat gases, many particulates, such as dioxins and furans, stay suspended in the air, contaminate the water and soil, causing many problems for the population as these substances accumulate in our systems. Incinerators are expensive tools that drive out other kinds of waste treatment — especially recycling and composting. We reaffirm our support and solidarity with the people of Uruguay and our waste picker brothers and sisters, that since 2002 have been organizing with us and are part of Red Lacre. Read the complete statement. 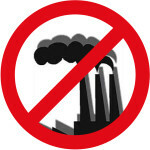 As a response to information recently published about the current government-led public bidding process that aims to promote waste-to-energy in Uruguay, a pro-waste picker initiative called the Coordinadora Pro Clasificadores (CPC) declares in four points that the generation of energy from waste is not a solution. In the CPC’s manifesto, dated May 15, 2014, it states that it considers the prioritization of waste-to-energy technology a profound error. Instead of doing this, the CPC proposes a national plan for solid waste management with social inclusion throughout the country, with the goal of reuse and recycling, and the inclusion and massive formalization of waste pickers. We propose to substitute the work of the men, women, and children waste pickers now making a living in existing landfills throughout several states, with work that is economically, socially, environmentally and culturally dignified. Read the CPC’s manifesto. The South African Waste Pickers’ Association (SAWPA) was formed in 2009, following groundWork’s visits to various waste dumps and towns. The aim of the visits was to map all the waste dumps in South Africa and to engage with waste reclaimers (or waste pickers) about securing their livelihoods. As a result of this critical work on the ground, waste pickers started to organise towards cooperatives at their dumps and on the streets in different towns. These cooperatives are at different stages: some are still in negotiations and others are registered, recognised and operational. Some groups are yet to organise.The main aim for these projects is to see job creation through recycling in South Africa. Recycling should not be privatised. Privatisation can lead to many challenges such as exploitation and loss of livelihoods. The model that SAWPA believes in is Materials Recovery Facility (MRF), where there is a facility designed for sorting and bailing of waste materials. These are initiatives by waste pickers who are either working in cooperatives or funded to work as cooperatives doing recycling in their localities. Many of these groups of waste pickers have come a long way from being disorganised to a formal registered cooperative. This report talks about four key pilot projects in South Africa. Read the full report. In previous newsletters we outlined the plan of the Recycling and Economic Development Initiative of South Africa (REDISA) to reduce the impact of tyres on the environment and create employment by recycling or reusing them. Tyre recycling is bound to create many jobs because organizations and individuals can register to be tyre collectors, transporters or recyclers. The South African Waste Pickers’ Association (SAWPA) is in the process of registering as tyre collectors and/or transporters. 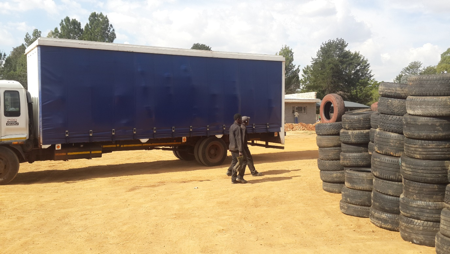 Waste pickers are already in the business of recycling and this plan is just adding one more waste stream to collect…Tyres will be collected by collectors, who then pass the tyres on to transporters, who drop them at the depot for collection by the manufacturers. The only challenge is that the country does not have a big enough tyre crumbing industry to recover rubber from tyres. REDISA will have to take some tonnages to cement kilns to be incinerated until the manufacturing industry is ready to take the bulk of the tyres. While it is positive that REDISA and SAWPA are busy registering waste pickers as collectors and transporters in different towns and regions, the plan has to move away from burning tyres in cement kilns because we cannot solve the problem by creating another problem of toxic air and ash. Rubber crumbling plant should be funded by REDISA and rubber should be recovered. Read the complete press release. Umgungundlovu District Municipality was, in 2011, awarded R21 million by the Department of Cooperative Governance and Traditional Affairs (CoGTA) to implement a recycling project that would create 200 permanent, sustainable jobs. Due to the municipality not signing off on the construction of the recycling centre, the cooperative of reclaimers, or waste pickers already working at the New England Road landfill site have been kept waiting for three years. Now CoGTA is threatening to withdraw funding if the project is not completed. The project would include the construction of a Materials Recycling Facility (MRF), a buy-back centre and a composting facility. 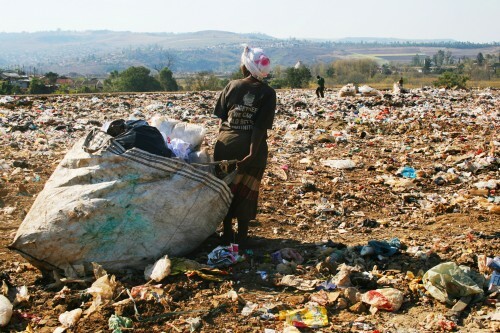 By not signing the Memorandum of Understanding, Msunduzi Local Municipality is losing out on creating jobs for waste pickers and increasing the landfill’s lifespan. This project would mean Pietermaritzburg would become the first zero waste city in Africa. It would also be the first project of its kind, as it would fall under management of the cooperative. But instead of supporting the local economy, Msunduzi Municipality has signed an agreement with Wildlands Conservation Trust to take all recyclables from Pietermaritzburg, paying waste pickers with vouchers for the recyclables they collect. Choosing this over the proposed CoGTA and Umgungundlovu District Municipality project means Msunduzi Municipality is actively promoting bigger profits for the Trust and killing all small recycling initiatives in Pietermaritzburg. Hlanganani ma-Africa, SAWPA and groundWork demand an answer from Msunduzi Municipality by the end of June. Read the entire press release.